If a pig loses it’s voice, is it disgruntled? 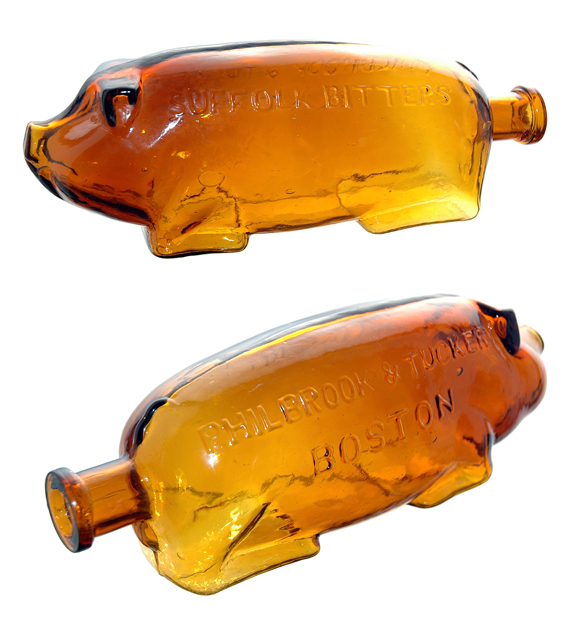 From 1865-1874, Joseph W. Philbrook & Herman Tucker of Boston sold their Suffolk Bitters in a mold blown figural pig bottle issued only in amber tones. 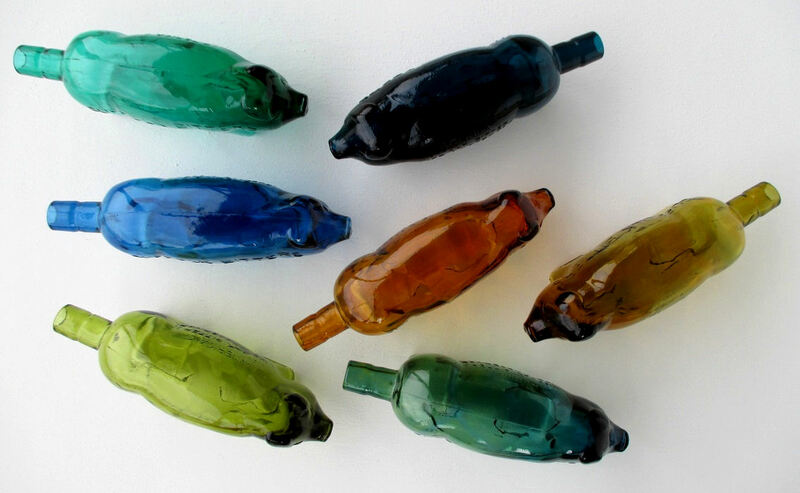 1800’s beautiful two toned Suffolk Bitters courtesy of the Ferdinand Meyer Collection. In the early 1970′s, Taiwan made reproductions of this 1800’s pig figural in an assortment of colors. It’s not known how many of these figural pigs were made or how long they were produced. A one or two year run; possibly longer? They are the most sought after reproductions. 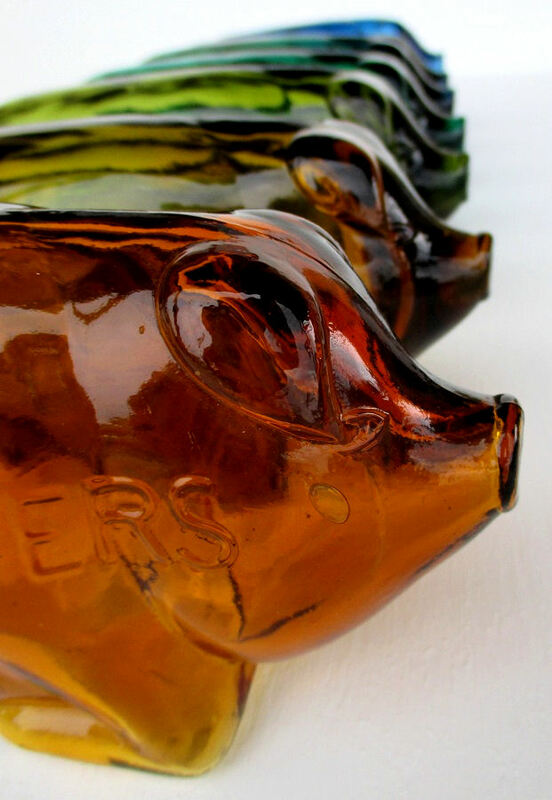 These 40 something year old pigs are quite rare and measure 9″ long and almost 4″ high. 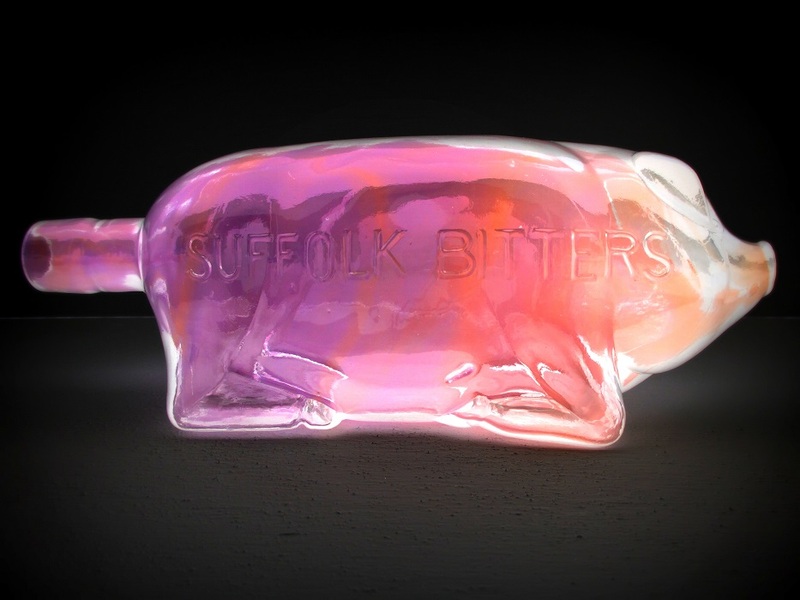 A reverse rainbow color run of Suffolk Bitters figural pig reproductions. These colors fly. A stunning two toned example with a dark blue face with swirls of blue to the tail. The two toned teal example in reverse lighting creates a stunning, electric, embryonic, effect. In order of the seven rainbow colors, red, orange, yellow, green, blue, indigo, and violet, these seven pigs aren’t an exact representation of the primary colors, but they are close. Two toned: dark teal blue face to very light teal body with the darker spiraling to the tail. “I’ve a right to think,” said Alice sharply for she was beginning to feel a little worried. A spring storm arrived while I was photographing glass on my porch. After which, I was lucky, or ‘on the pig’s back’ to have my camera handy to capture a natural color run reaching up across the sky. 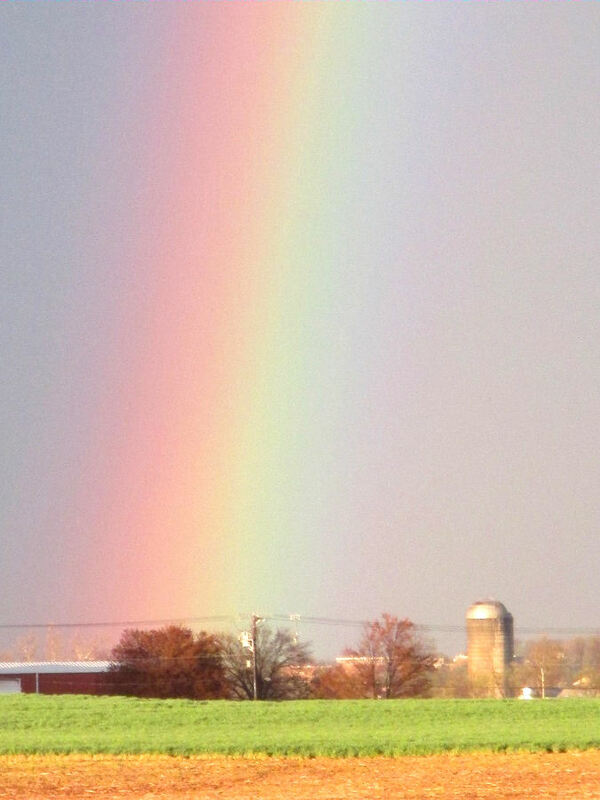 In front of the tree in the field; it must be a very small pot of gold at the end of this one. 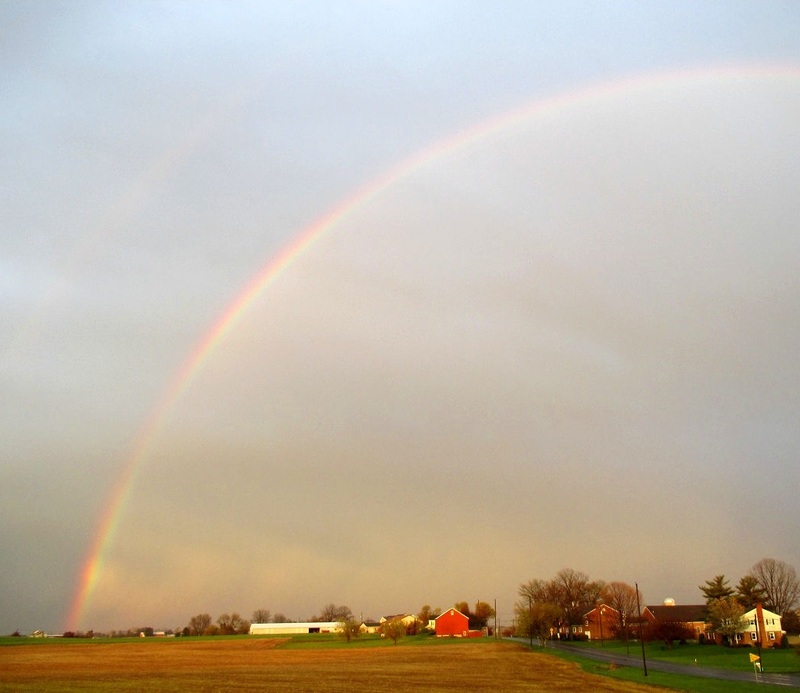 A beautiful rainbow over Lancaster County. 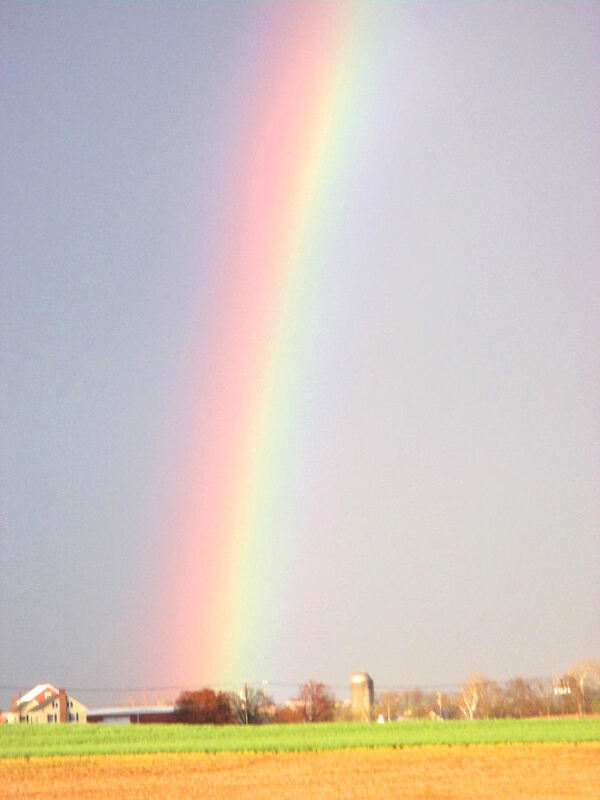 Another beautiful rainbow on my porch. When the candles be out all the cats be gray. -Desiderius Erasmus 1466-1563, earliest documentor of the old Gaelic proverb. Light is magic. 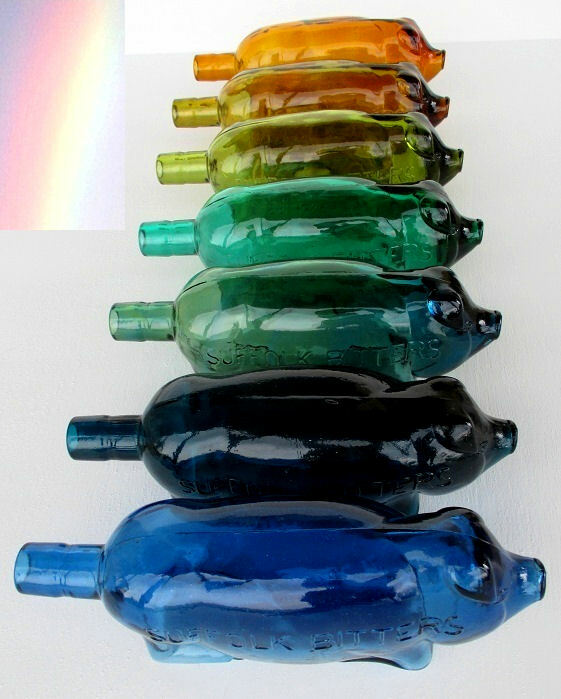 The pigs have no color nor do the water droplets showing the colors in the rainbow. Light itself is color. 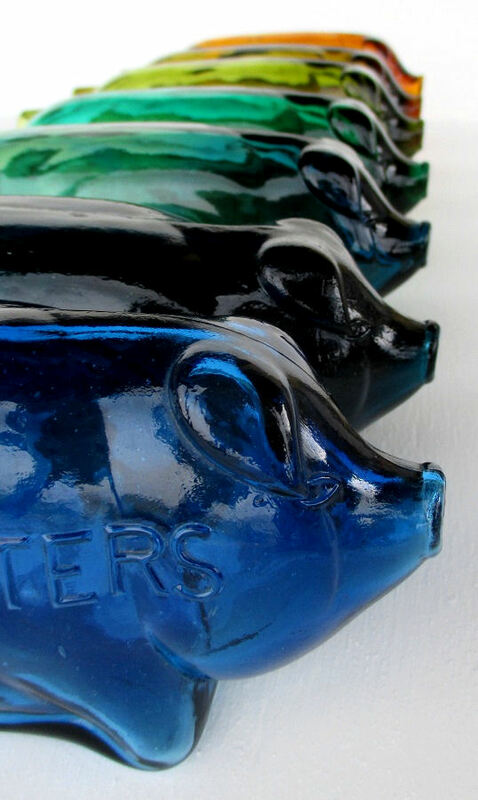 The difference of color in objects such as these pigs (or in anything) is the difference in properties of the object to reflect and/or absorb light. On a subatomic level, it all comes down to vibrations. Things with similar vibrations will share similar colors. It’s always nice when you live in an orderly universe. For my father with love. Happy Father’s Day!